today I have the last of my new Hard Candy polishes to show you. Here's 3 coats of 'Cotton Candy Pink'. 'Cotton Candy Pink' is a very light pink base filled with white/silver & dark blue teeeeny glitter. This one is probably my favorite of the 5 I bought :) It's a lovely, fun but delicate polish. Next up, 3 coats of 'Sweet Tooth'. 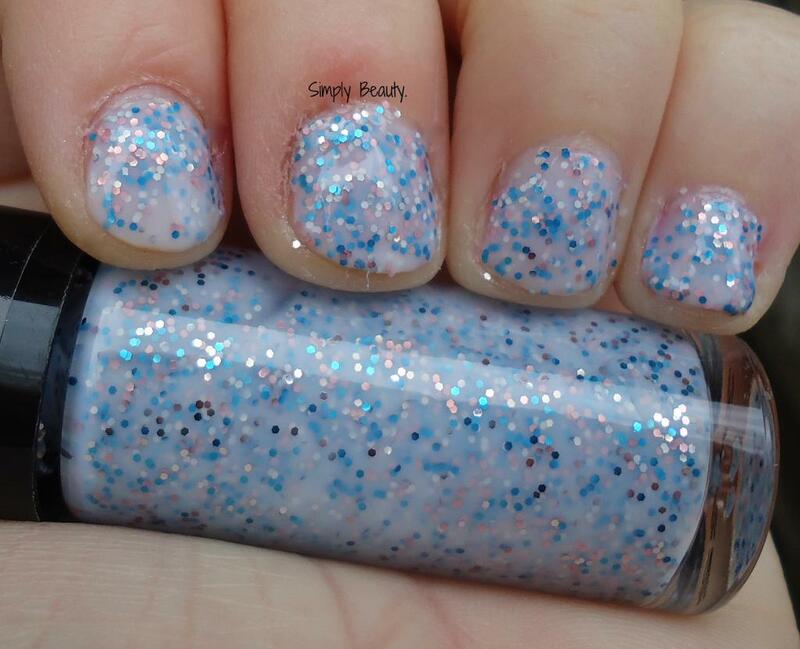 'Sweet Tooth' is a super pale blue base filled with light blue, medium blue, & light pink teeny glitters. To me, the colors in this remind me MUCH more of cotton candy than the ones in 'Cotton Candy Pink'... but whatever. Stay tuned for a full review of this line in the next week or so!